1. Cecil Cox born 11/26/1956 married Peggy Daniels Sulphur from Springs, Alabama. They had one son James Presley Cox II born 05/28/1978. 2. Dale Cox born 09/21/1958 married Diane Rogers from Menlo, Georgia. James (Jimmy) Presley Cox and his family live on a 400 acre farm near Sulphur Springs, Alabama on the Georgia-Alabama state line. Jimmy worked in Chattanooga for many years. He was employed by American Thread Company, Rossville, GA for more than 25 years. He also has three large chicken houses and raises layer hens. Loraine Hartline Cox taught school for several years and was employed for about 20 years as an Avon Co. representative. She died in October 1991 and is buried in Head Springs Cemetery. Harold had various employments in Dade County, GA; one of which was driving a taxi. He served in World War II. He also served as Dade County Road Commissioner. Harold and Loraine divorced when their son was very young. 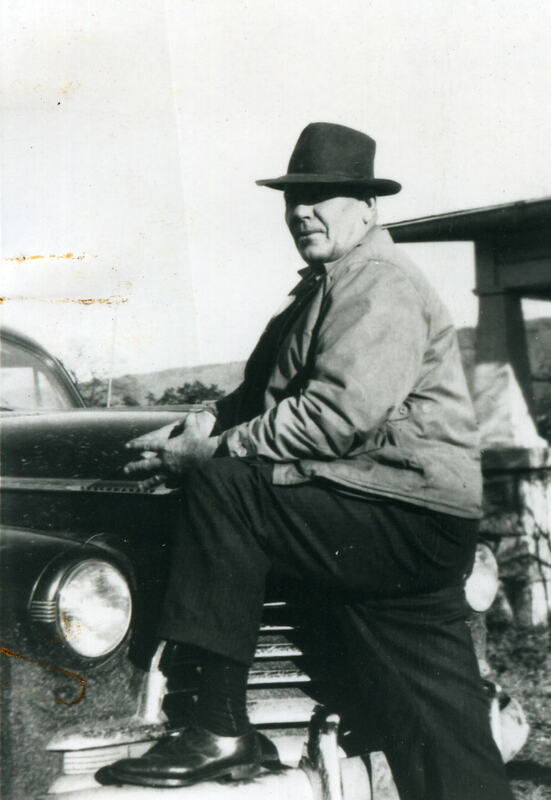 He made his home with his sister Minnie Lou Cox Moore on Lookout Mountain, New Salem Community. He died on June 13, 1970 and was buried in Hawkins Cemetery. Jimmy, Joan and family are members of Sulphur Springs Baptist Church.